"This unusual, wise, and healing memoir explores territory that reflects and intrigues us all." "One of the few books that completely conveys a life lived from the inside. It is a reader's joy." RED STAR REVIEW: "...remarkable memoir, mother and son, in alternating chapters, tells the story of their life in San Francisco's Chinatown from the 1950s to the present. Fans of Amy Tan and Maxine Hong Kingston shouldn't hesitate to embrace this formidable matriarch and the son she taught to cook her chi soups. " 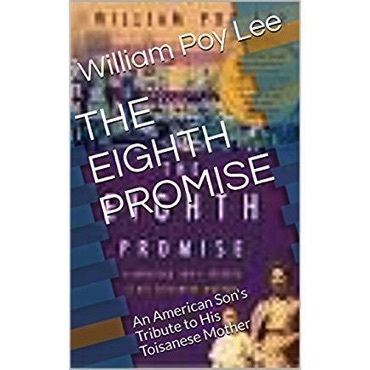 In the tradition of the The Color of Water by James McBride, author William Poy Lee's coming-of-age story spans from his mother's war-torn, Chinese village to San Francisco Chinatown during the civil rights marches, Vietnam War protests, and countercultural exuberance of the 1960s. It turns into a stunning tale of violence, injustice, fortitude, survival and triumph as mid-way, the author, like the Continental Op, in Red Harvest, careens through the "Poinsonville" of his once quiet Chinatown to free his unfairly jailed brother and expose the deadly combine of organized crime-corrupt police-youth hitmen.